LINGER™ Lasting Fragrance Primer is the ultimate fragrance primer that helps your scent to remember and last. A true scent invention, LINGER™ Lasting Fragrance Primer creates an invisible shield that preserves skin’s moisture as it balances its surface for scent that lasts and memories that linger. This remarkable one-of-a-kind lasting scent primer helps extend fragrance wear. LINGER™ is Patent Pending, Clinically Tested and Fragrance Fan Approved. This product was picked at the Cosmoprof North America Show as an official Trendsetter Product for 2016. Apply LINGER™ Lasting Fragrance Primer on clean skin prior to applying fragrance. Spray a light mist and smooth on. Follow with your favorite fragrance. Scentinvent™ Technologies is reinventing the development and delivery of fragrance forms and functions to a new level of fantasy for fragrance fans worldwide. This is a product that aids other products. There are now categories of products that aid products in helping them to last longer. Not only is there a fragrance primer, there is also something called a Fragrance Lock. Personally I prefer the Linger™ Fragrance Primer, as it helps the fragrance last much longer and it keeps the scent from oxidating too much on the skin, thus the scent stays the same as it does out of the bottle. 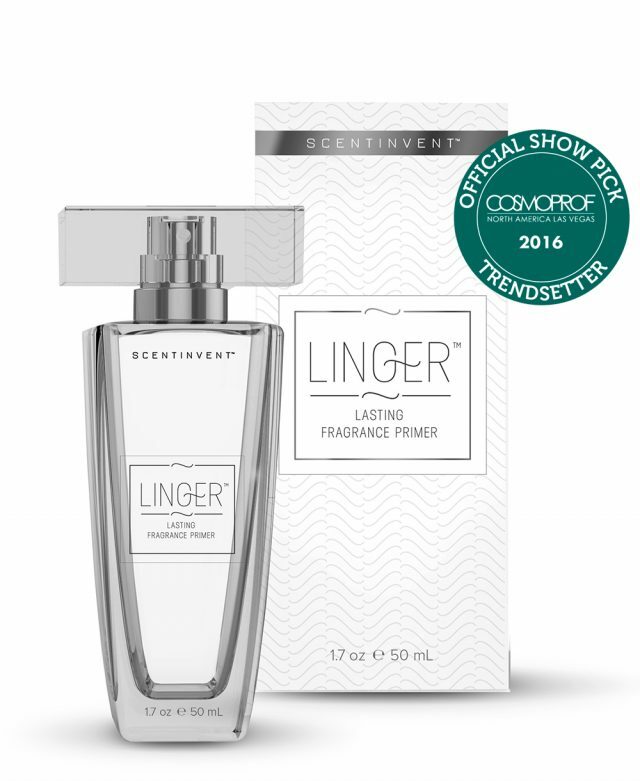 Currently Linger™ Fragrance Primer is available online at www.lingergragarnceprimer.com and www.hsn.com. It retails for $32.50 per 1.7 fl.oz./50mL bottle. Like Linger™ Fragrance Primer on Facebook:https://www.facebook.com/LINGER-Lasting-Fragrance-Primer-1017466081716004/; Follow Linger™ Fragrance Primer on Instagram:https://www.instagram.com/Lingerfragranceprimer/ and Subscribe to Linger™ Fragrance Primer on YouTube:https://www.youtube.com/channel/UCC97giLRMFoIo0R4qLMqmiQ.